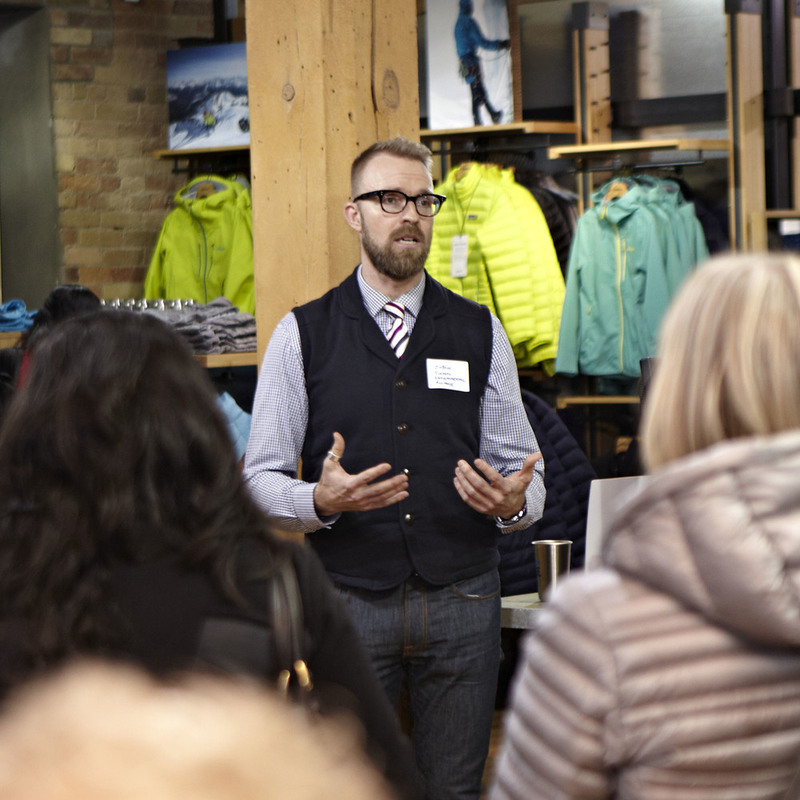 Just before 2015 came to a close, some of Toronto's most progressive businesses and environmental ambassadors came together for an evening of inspired conversation. If you're interested in attending future 1% events, let us know. In 2012, we gave to the Canadian Canoe Foundation. CCF develops watershed-focused environmental education projects and sends Canadian youth on canoe-trip learning adventures. In 2013, we gave to Lake Ontario Waterkeeper. LOW's mandate is to provide a swimmable, drinkable, and fishable waterway. Our inspiration? Kevin McMahon's epic film Waterlife. In 2014 and 2015, we gave to the Toronto Environmental Alliance. TEA's leadership is to thank for several of Toronto's landmark initiatives like the green bin program and an end to the use of pesticides on residential lawns. In 2016 and 2017, we funded the creation of Friends Of The Oxtongue — restoring a healthy rainbow trout population to our local tributary.